Is your vehicle destined for the dump? 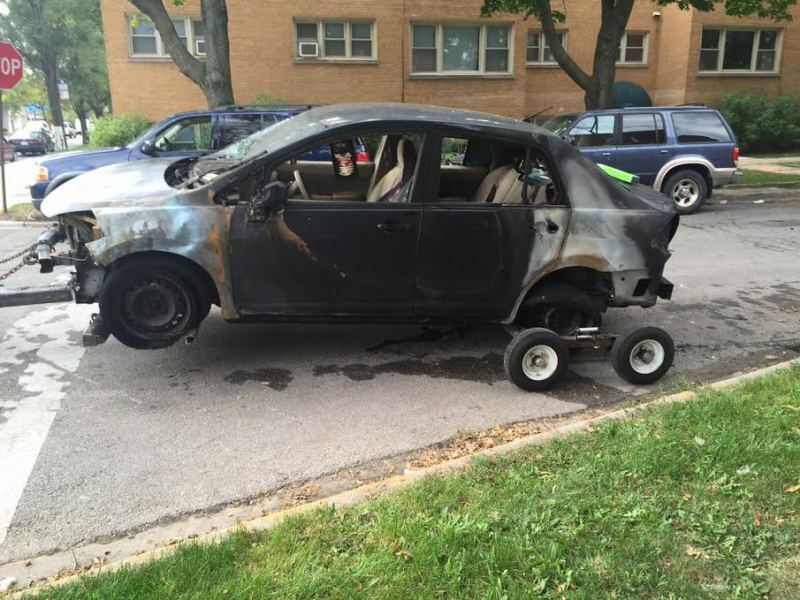 Contact Magic Towing Service for junk car removal services in Chicago. We pick up your car, tow it away, and provide cash for it. If your vehicle is beyond repair, don't despair. We'll give you cash on the spot. Simply give us the car title, and we'll give you a quote and provide free pick-up today. Instead of cluttering your driveway or lawn with a beat-up car, let us take it off your hands. It's a hassle when you have a vehicle that doesn't run. Who's going to buy it? How do you get rid of it? Instead of letting it take up space, give us a call. Whether it has physical or mechanical damage, it doesn't matter. Every car has value. We'll pay you a fair price for your junk car and provide prompt junk car removal services. Junk Car Removal: Cash for Cars! In addition, your vehicle does not need to be running or even drivable. Whether it's missing tires, seats, or even an engine, we'll cart it away for you. So don't let your old car rust and take up space, rely on our team to ensure it is properly disposed and recycled. We take the eye-sore off of your property and free up space on your lawn. Make money on your junk car. Our scrap car removal service accepts cars in all conditions. We take motorcycles, small cars, big cars, and trucks. Enjoy quick and hassle-free service as well as friendly assistance every step of the way. You'll find that our team is committed to offering the fastest, easiest way to get rid of your unwanted vehicle.